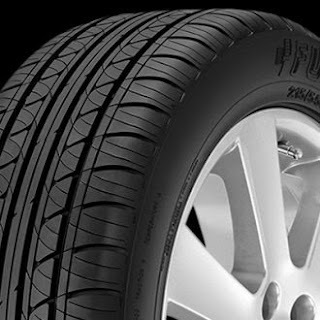 Olympia Auto Mall - Washington's Largest Selection of New and Used Cars: What Are Touring Tires? As the only part of your vehicle that comes in contact with the road, your tires have an unparalleled level of importance. Touring tires are one of the top tire choices for used cars in Tacoma, WA. These tires offer excellent ride quality and many performance blended features. The following information explains a few of the most common features of touring tires. Touring tires are ultimately designed to offer drivers and passengers of used cars in Tacoma a smoother ride because of a unique tread pattern. The majority of touring tires have a wider tread and lower profile than other tires. These features are responsible for offering the superior stability at faster speeds. · Summer tread touring tires are designed for dryer driving conditions. These types of touring tires are best for quick and responsive handling at higher speeds. However, summer tread touring tires shouldn't be driven on icy or snow roads. · All-season tread touring tires are designed to be driven in a wide range of road conditions, including roads with light snow and ice. These tires do trade in some of the performance for improved traction on roads with light snow. Touring tires are designed to last about the same amount of time as standard tires. While each tires exact mileage will vary from manufacturer to manufacturer, typically the cheaper the tire, less use you can expect. For specific tire recommendations for your vehicle, or to buy a used car, truck, or SUV in the Tacoma area, visit the source for the largest selection and the best service. Visit the OlympiaAuto Mall online or stop by our showrooms. is the Michelin and Touring as the most qualitative and having the greatest grip on the road during bad weather and rains or snow. that was put into it when it was manufactured we decided to buy this car without hesitance.